Official languages Hindi, English. Hindi in the Devanagari script is the official language of the Union and English the “subsidiary official language”. Constitutionally recognised languages :Assamese, Bengali, Bodo, Dogri, Gujarati, Hindi, Kannada, Kashmiri, Konkani, Maithili, Malayalam, Manipuri, Marathi, Nepali, Oriya, Punjabi, Sanskrit, Santali, Sindhi, Tamil, Telugu, Urdu. 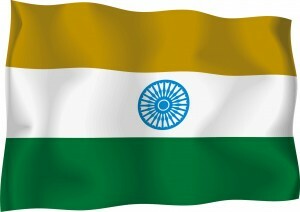 India, officially the Republic of India (Hindi: भारत गणराज्य Bhārat Gaṇarājya; see also other Indian languages), is a country in South Asia. It is the seventh-largest country by geographical area, the second-most populous country, and the most populous democracy in the world. Bounded by the Indian Ocean on the south, the Arabian Sea on the west, and the Bay of Bengal on the east, India has a coastline of 7,517 kilometres (4,700 mi). It is bordered by Pakistan to the west; People’s Republic of China (PRC), Nepal, and Bhutan to the north; and Bangladesh and Myanmar to the east. India is in the vicinity of Sri Lanka, the Maldives, and Indonesia in the Indian Ocean. Home to the Indus Valley Civilisation and a region of historic trade routes and vast empires, the Indian subcontinent was identified with its commercial and cultural wealth for much of its long history. Four major religions, Hinduism, Buddhism, Jainism and Sikhism originated there, while Zoroastrianism, Judaism, Christianity and Islam arrived in the first millennium CE and shaped the region’s diverse culture. 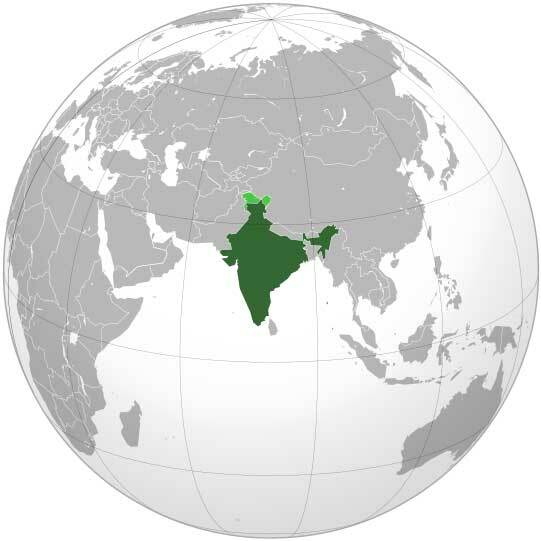 Gradually annexed by the British East India Company from the early eighteenth century and colonised by the United Kingdom from the mid-nineteenth century, India became an independent nation in 1947 after a struggle for independence that was marked by widespread nonviolent resistance. India is a republic consisting of 28 states and seven union territories with a parliamentary system of democracy. It has the world’s twelfth largest economy at market exchange rates and the fourth largest in purchasing power. Economic reforms since 1991 have transformed it into one of the fastest growing economies; however, it still suffers from high levels of poverty, illiteracy, and malnutrition. A pluralistic, multilingual, and multiethnic society, India is also home to a diversity of wildlife in a variety of protected habitats. 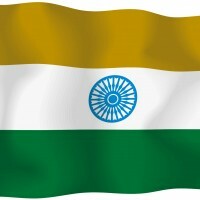 Where in the world is India? See the map. Please read this message if you want to add your pictures, photos, etc. to this country. Thanks!